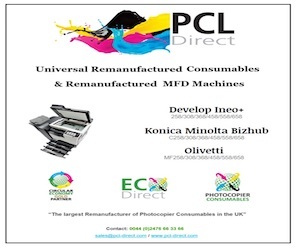 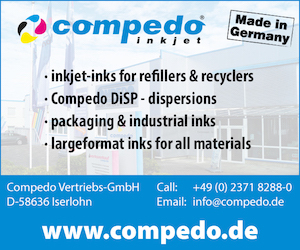 The German remanufacturer has released new replacement cartridges for use in various printers. 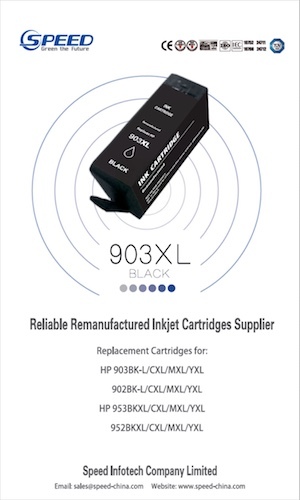 The first of the released replacement cartridges are for use in HP OfficeJet Pro 7700 series, HP OfficeJet Pro 7730, HP OfficeJet Pro 7740 WF, HP OfficeJet Pro 8200 series, HP OfficeJet Pro 8210 ,HP OfficeJet Pro 8216, HP OfficeJet Pro 8218, HP OfficeJet Pro 8710, HP OfficeJet Pro 8715, HP OfficeJet Pro 8718, HP OfficeJet Pro 8719, HP OfficeJet Pro 8720, HP OfficeJet Pro 8720 series, HP OfficeJet Pro 8725, HP OfficeJet Pro 8730, HP OfficeJet Pro 8740 and HP OfficeJet Pro 7720 printers. 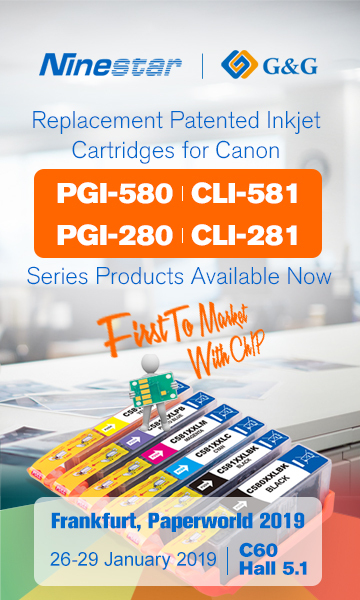 These replacement cartridges come as high yield single packs and in a CMYK set where the black replacement cartridges come with a page yield of 2,300 and the CMY cartridges with a 2,000 page yield. 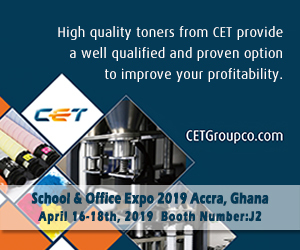 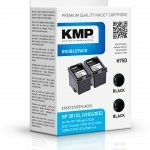 The HP range was also extended with the release of replacement CMYK cartridges for use in HP PageWide 352 dw, HP PageWide MFP 377 dw, HP PageWide Pro 452 dn, HP PageWide Pro 452 dw, HP PageWide Pro 452 dwt and HP PageWide Pro 450 series printers and replacement cartridges for use in HP DeskJet 2620, HP DeskJet 2630, HP DeskJet 2632, HP DeskJet 2633, HP DeskJet 3720 series, HP DeskJet 3720 blue, HP DeskJet 3720 seagrass, HP DeskJet 3730, HP DeskJet 3732, HP DeskJet 3733, HP DeskJet 3735, HP DeskJet Ink Advantage 3700 MFP, HP Envy 5020 All-ln-One, HP Envy 5030 All-ln-One, HP Envy 5032 All-ln-One and HP DeskJet 3720 printers. 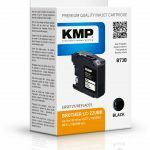 KMP also added to the range monochrome replacement cartridges for use in HP LaserJet Pro M 400 series, HP LaserJet Pro M 402 series, HP LaserJet Pro M 402 d, HP LaserJet Pro M 402 dn, HP LaserJet Pro M 402 dne, HP LaserJet Pro M 402 dw, HP LaserJet Pro M 402 n, HP LaserJet Pro MFP M 420 series, HP LaserJet Pro MFP M 426 dn, HP LaserJet Pro MFP M 426 dw, HP LaserJet Pro MFP M 426 fdn, HP LaserJet Pro MFP M 426 fdw, HP LaserJet Pro MFP M 426 fw, HP LaserJet Pro MFP M 426 m, Troy M 402, HP LaserJet Pro MFP M 426 n printers. 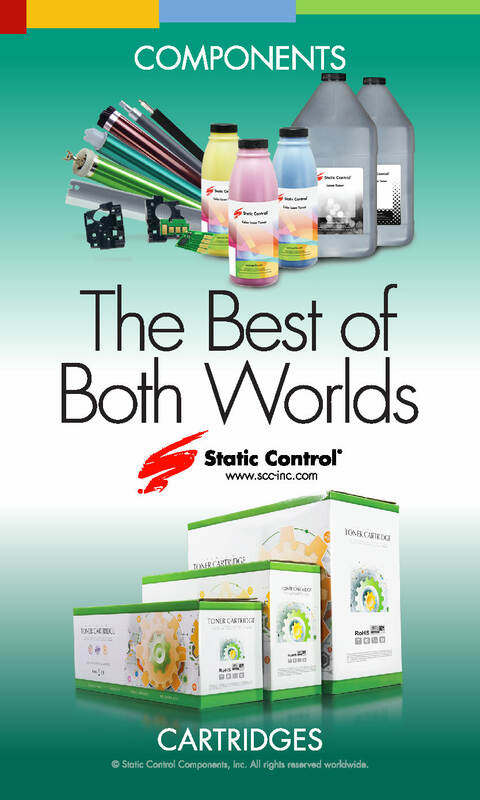 These replacement cartridges come in two versions, normal yield (4,000 pages) and high yield (12,000 pages). 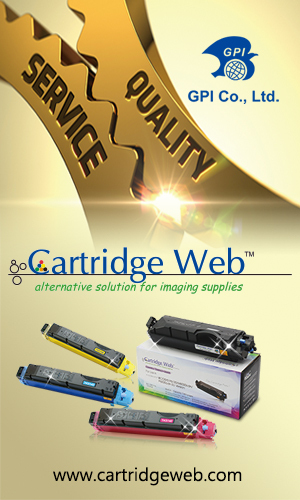 The Canon range was extended with CMYK replacement cartridges for use in Canon I-Sensys LBP-610 series, Canon I-Sensys LBP-611 Cn, Canon I-Sensys LBP-612 Cdw, Canon I-Sensys LBP-613 Cdw, Canon I-Sensys MF 630 Series, Canon I-Sensys MF 631 Cn, Canon I-Sensys MF 633 Cdw, Canon I-Sensys MF 634 Cdw, Canon I-Sensys MF 635 Cx, Canon I-Sensys MF 636 Cdwt and Canon I-Sensys MF 632 Cdw printers. 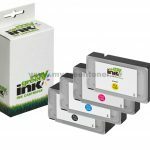 These come with page yields of 2,800 for the black cartridges and 2,200 for the CMY cartridges. 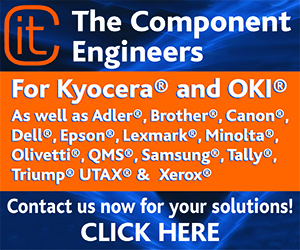 The company’s OKI range was extended with replacement cartridges for use in OKI B 432 DN, OKI B 512 DN, OKI MB 472 dnw, OKI MB 492 dn, OKI MB 562 dnw and OKI B 412 DN printers. 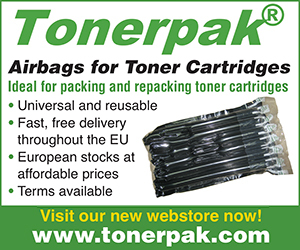 These are high yield monochrome cartridges with a page yield of 8,500. 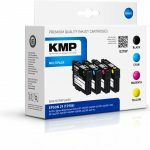 Also announced were refill inks in CMYK for Epson EcoTank ET-14000, Epson EcoTank ET-2500, Epson EcoTank ET-2500 series, Epson EcoTank ET-2550, Epson EcoTank ET-2600, Epson EcoTank ET-2600 series, Epson EcoTank ET-2650, Epson EcoTank ET-4500, Epson EcoTank L 100, Epson EcoTank L 110, Epson EcoTank L 1300, Epson EcoTank L 200, Epson EcoTank L 210, Epson EcoTank L 300, Epson EcoTank L 310, Epson EcoTank L 350, Epson EcoTank L 350 series, Epson EcoTank L 355, Epson EcoTank L 360 series, Epson EcoTank L 361, Epson EcoTank L 365, Epson EcoTank L 380, Epson EcoTank L 380 series, Epson EcoTank L 382, Epson EcoTank L 386, Epson EcoTank L 455, Epson EcoTank L 480 series, Epson EcoTank L 485, Epson EcoTank L 486, Epson EcoTank L 550, Epson EcoTank L 550 series, Epson EcoTank L 555, Epson EcoTank L 565, Epson Expression ET-2500 series, Epson L 100, Epson L 200 and Epson EcoTank L 385 printers. 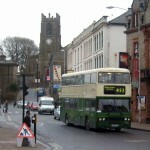 For more information, please visit www.kmp.com.